Ivy Press specialises in producing books that take innovative approaches to the subjects that you want to read about. The books are written by experts in their fields and designed to the very highest standards. 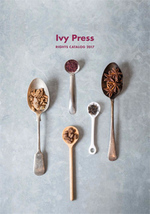 Ivy Press produces titles that will inspire you, books that will show you how to make things, books that will make your mouth water, books that will inform you, books that will expand your mind, and books that will stimulate you, however much you already know. 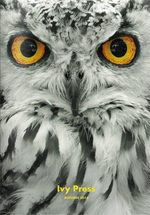 Its bestselling non-fiction list includes titles on natural history, general reference, popular science, art, craft, design and the internationally acclaimed 30-Second series which has been translated into 30 languages. Click the cover images below to see our current catalogs. Ivy Press creates integrated, illustrated non-fiction books for the international market. Its imprints represent a broad spectrum of subject areas, including popular culture; art and design; crafts; general reference; health and parenting; mind, body, spirit; humor and novelty. Authors range from academics and writers who have published dozens of books, to people who are specialists in their particular area but haven’t written a book before. 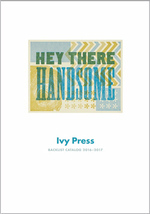 Ivy Press is always on the lookout for fresh talent, and will consider unsolicited book proposals from both published and unpublished authors. If we accept your proposal, Ivy Press will produce sales material (including blads, dummies and advance information sheets) for presentation at the major international book fairs in order to secure the best international market for your book. 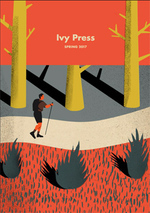 Ivy Press also is happy to hear from freelance writers who are interested in working on ideas, presentations and new titles.